This is excerpted from the "Director's Letter" in this month's Detroit Institute of Arts e-newsletter, distributed Friday. Frida and Diego are getting quite a welcome in their "return" to Detroit. 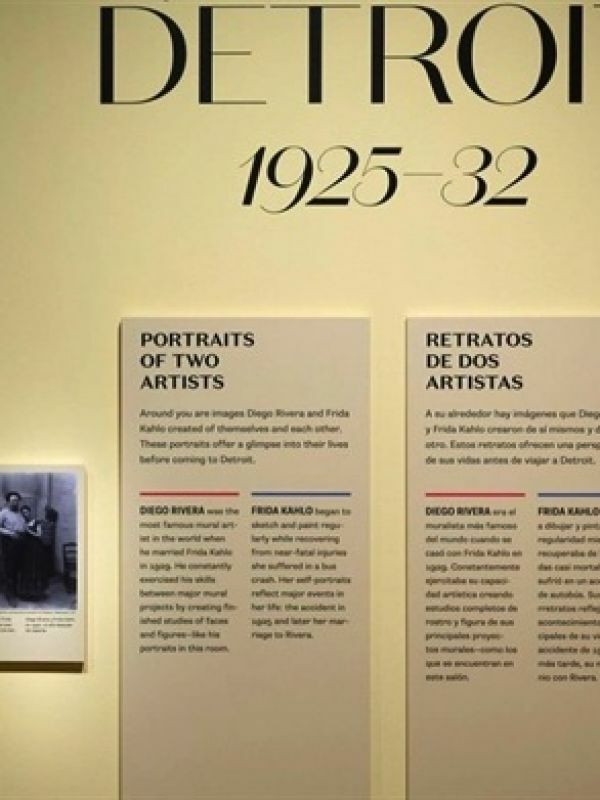 The response to our exhibition chronicling the 11 months they spent here while Diego created the monumental "Detroit Industry" murals at the heart of what was then the city's new cultural temple, has been enormously gratifying. As I have commented before, it is a distinct irony that Frida seems to dominate the dialog now; her provocative assertion to a Detroit newspaper upon arriving in the city that she was the most important artist in the world now almost has the ring of truth. After a bout of acclaim from the Surrealist pantheon in her lifetime, she was rediscovered in the 1970s. Her fame only seems to have grown and what has been dubbed "Fridamania" shows little or no signs of abating. But then, if ever there was an artist made for our Facebook age of obsessive self-examination/promotion, it is Frida Kahlo, with her endless variations on the theme of her own face. I've never liked stressing the economic multiplier effect that blockbuster exhibitions can have on the local economy because that's not where our true value to our community lies -- he who lives by the economy, dies by the economy. But it's great to visit restaurants like La Feria and see dishes and drinks named after one or other of these two artists and to hear that businesses in the area have experienced significant increase in activity directly related to the exhibition. Living legends as they were, the power couple of the 20th-century art world still, it seems, has the power to draw (pun intended).